Do you want to become an expert in specialised intermodal transport? 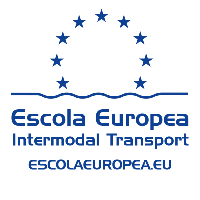 This year the Escola has organised a series of technical courses designed especially to provide unique training in specialised intermodal transport. Following the tried and tested format of the MOST courses, these course workshops will provide unique opportunities to discover certain aspects of the industry as well as provide ample networking possibilities. The Escola’s Summer School will return once again, this time divided into two courses spread over two weeks focusing on goods and vessels respectively. Registrations will open soon.